Smart Fortwo, Fortwo cabriolet and Forfour Electric Drive models have been revealed, claiming improved range and performance as well as significantly faster recharging times than their predecessors. Improvements to Smart's rejuvenated electric models come from the adoption of a new driveline, which is largely shared with the Renault Zoe, as well as developments to its charging system. Having made their debuts at the Paris motor show, Smart’s new trio of electric models are planned to reach UK showrooms in mid-2017. Prices are yet to be revealed, although Mercedes-Benz officials suggest the cheapest of the three, the Fortwo Electric Drive, will cost around £20,000 in combination with new 22kW fast charger when the Government’s existing £4500 electric vehicle grant is applied. At the heart of the Smart’s new Fortwo, Fortwo cabriolet and Forfour Electric Drive models is an electric driveline developed in partnership with Smart parent firm Mercedes-Benz and its alliance partner Renault-Nissan. Similar to that already employed in the Renault Zoe, it uses a rear-mounted three-phase synchronous electric motor, produced at Renault’s Cleon plant in France, delivering 80bhp and 118lb ft to the rear wheels. This is an increase of 5bhp and 22lb ft on the electric motor used by the earlier Fortwo and Fortwo cabriolet Electric Drive. It’s also 7bhp and 44lb ft down on the electric motor used by the front-wheel-drive Renault Zoe. Electric energy used to drive the electric motor is stored in a 17.6kWh lithium ion battery mounted within the floor. Some 4.4kWh smaller than the unit used by the Renault Zoe, it is produced at Mercedes-Benz parent firm Daimler’s Accumotive battery plant in Germany. With drive channelled through a fixed-ratio gearbox, Smart claims 0-62mph times of 11.5sec, 11.8sec and 12.7sec for the Fortwo, Fortwo cabriolet and Forfour Electric Drive respectively. All three boast a top speed limited to 81mph – up from 78mph with the earlier Fortwo Electric Drive. Smart claims a nine-mile improvement in overall range over the first-generation Fortwo Electric Drive, with its new model achieving nearly 100 miles on the European test cycle. The added weight of the Fortwo and Forfour Electric Drive reduces their range over the new Fortwo Electric Drive by three miles to 96 miles. Smart has developed the 2017 model-year Fortwo, Fortwo cabriolet and Forfour Electric Drive to support two different charging systems. The standard system, which will not be offered in the UK, is claimed to halve the recharging time of the battery at 2.5 hours. A more powerful 22kW system, which will feature on all models in the UK, is claimed to recharge the battery in just 45 minutes. 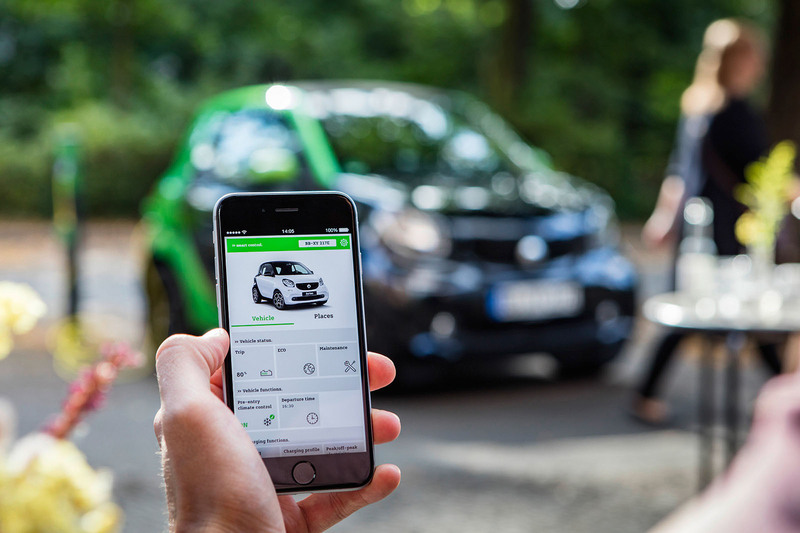 The charging status can be monitored and controlled on a so-called Smart Control app via a smart phone. Other functions able to controlled remotely include a new pre-entry climate control program that enables the owner to operate the air conditioning during recharging. 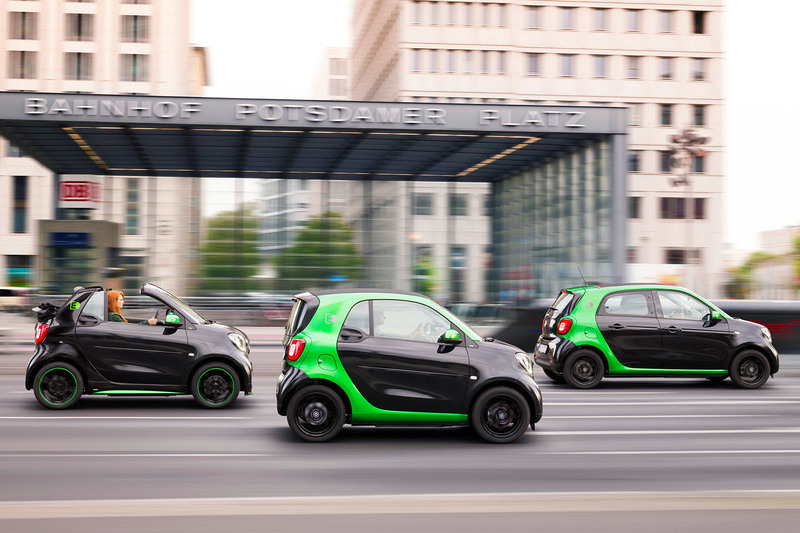 The Fortwo and Fortwo cabriolet Electric Drive are produced alongside the turbocharged 0.8-litre three cylinder petrol engine version of the third-generation two-seater at Smart’s factory in Hambach, France. The Forfour Electric Drive hails from Renault’s Novo Meso plant in Slovenia, which also produces the French car maker’s Twingo and Clio. The shortly to go on sale Chevy Bolt, 200hp , EPA range of 238 miles, with a before incentive price of from $38k looks far better value. Will it go on sale in the UK though and would the price be competitive after UK taxes and duties. That is still a big problem for electric cars to overcome, the initial cost plus will it still have the range after ten years use with 100k miles? To save you the worry here's the results of a study "The recent Model S numbers from The Netherlands are even more encouraging. That means that after 100,000 miles, the typical Model S is projected to retain about 92 percent of its battery capacity and range." Full charge in 45mins? Am I reading that right?